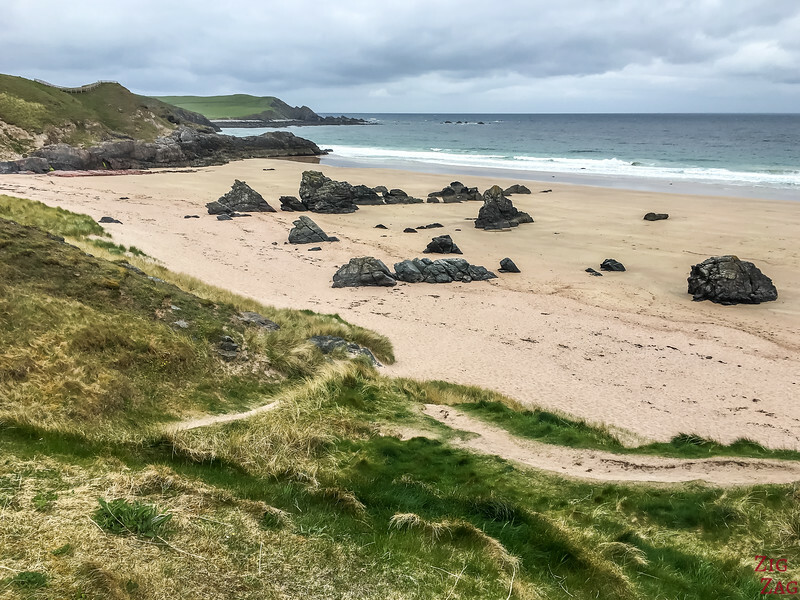 Often overlooked, the North Coast of Scotland is wild and scenic with large kyles, narrow lochs and surprising beaches. 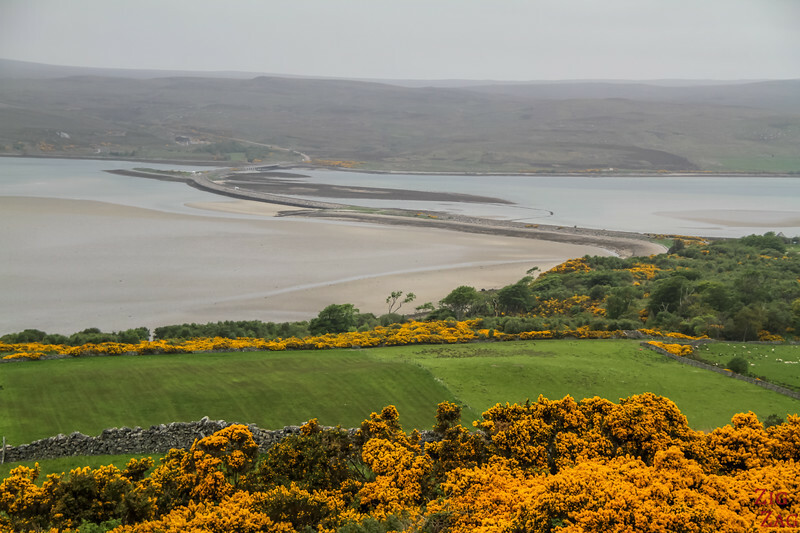 Discover some of its gems such as the Kyle of Durness, Smoo Cave, the Award winning beach, Loch Eriboll and the Kyle of Tongue. 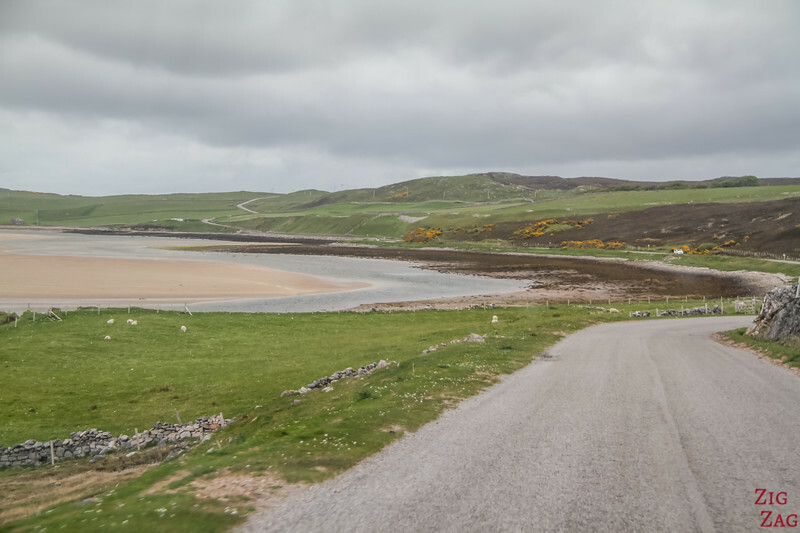 A838 and A836 will allow you to drive along the North Coast between the town of Durness to the West and Thurso to the East. The drive takes 2 hours. 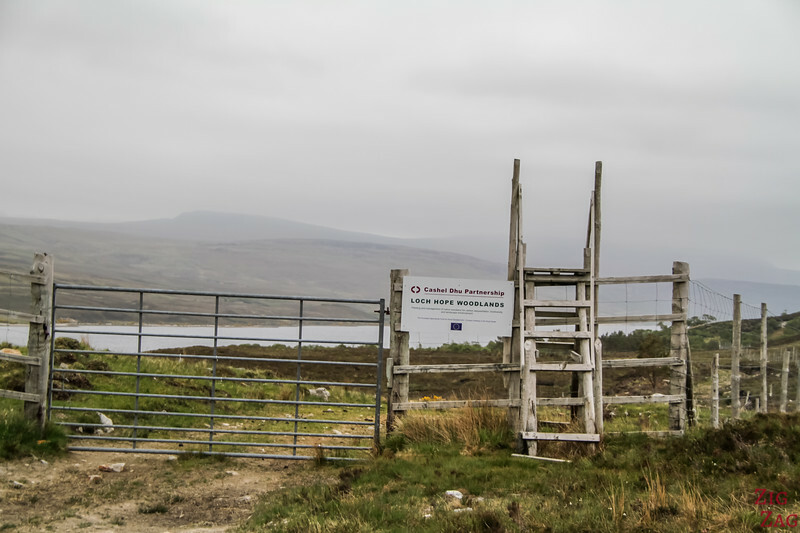 Sometimes you have to tour the water arms such as with Loch Eriboll and sometimes there are bridges to cross such as on Kyle of Tongue. 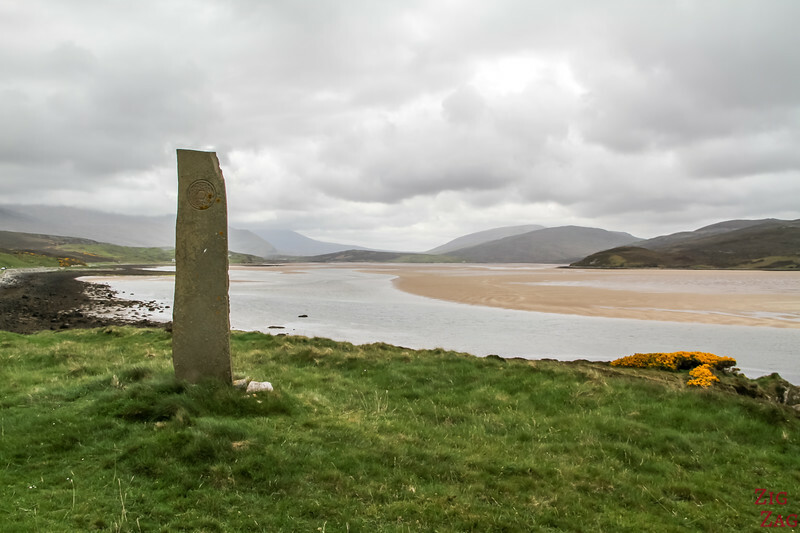 The Kyle of Durness is a coastal inlet between the town of Durness and the Cape Wrath peninsula. 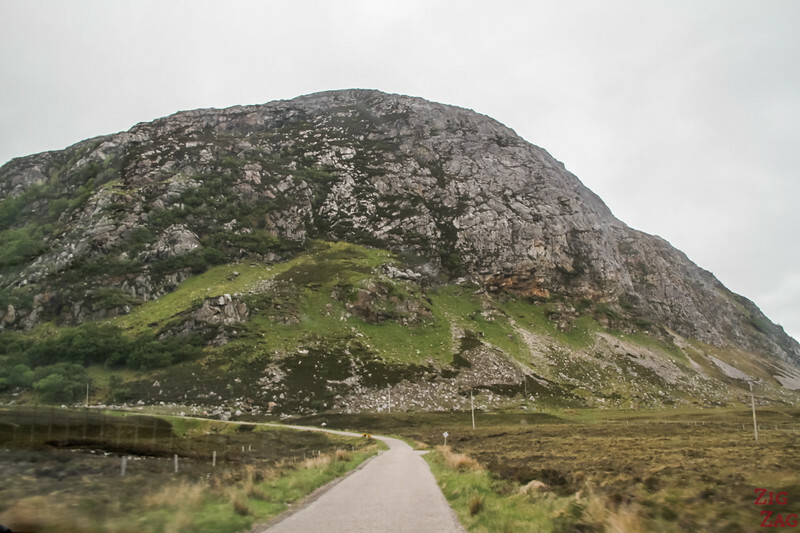 It is 9km long (5.5 mi) and 800 meters wide (0.5mi). At low tide, only a narrow stream of water remains. 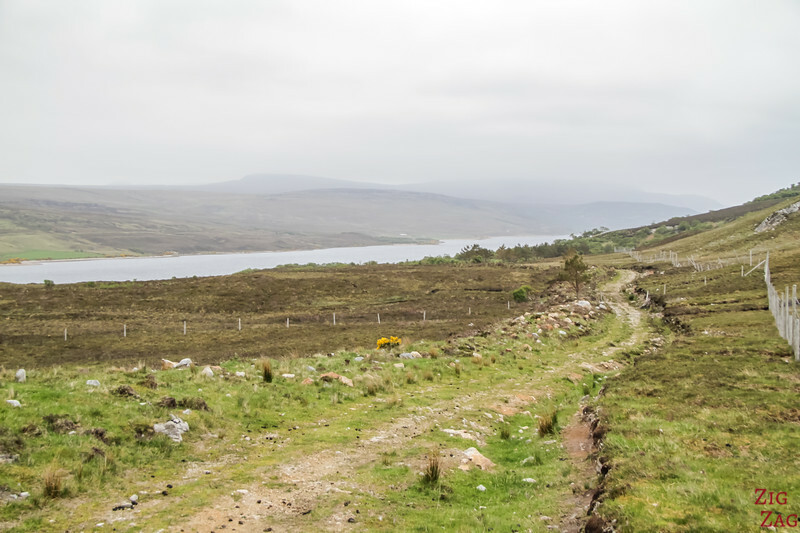 There is a stop with informative signs explaining the traces of settlements found in the area such as Keodale Green with a Bronze age Cairn. 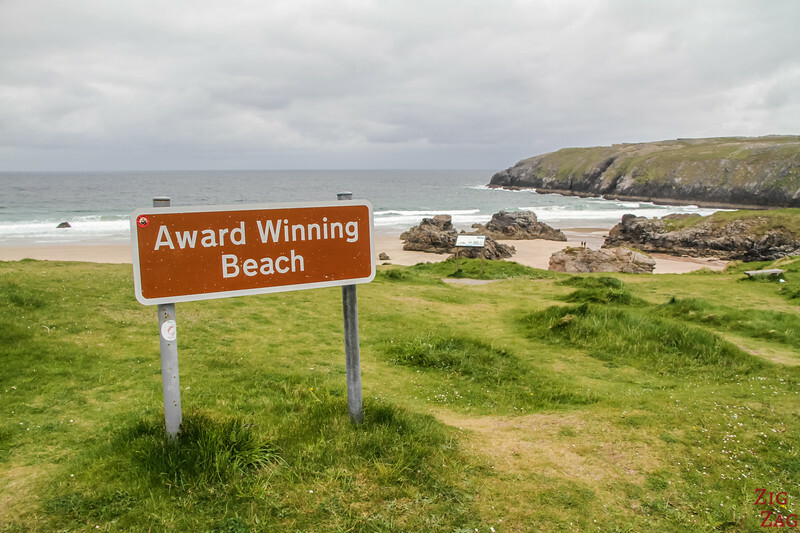 Next to Durness is a beach with a big sign 'Award winning beach'. I am not kidding, see the sign below. The beach is beautiful but I did not spend much time exploring it because of the freezing cold wind. This was the access to the Smoo Cave in the Sang Bay. 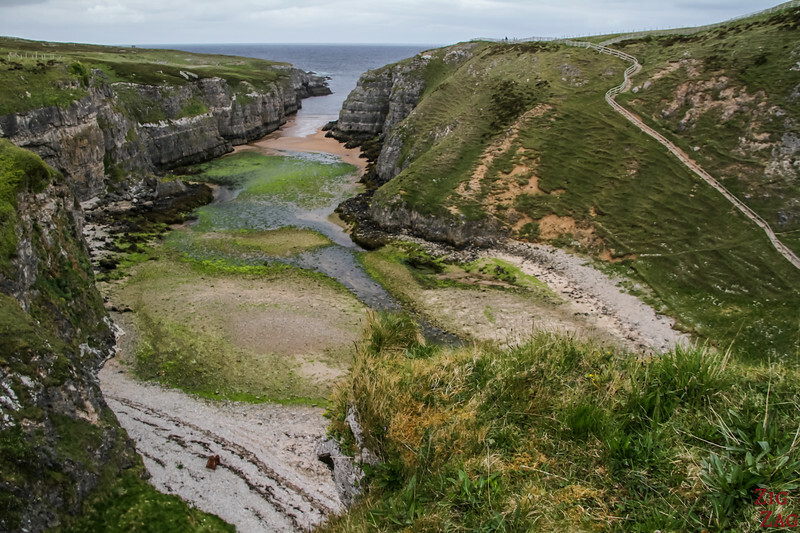 Smoo is a large sea cave: 61m (200ft) long, 40m (130ft) wide and 15m (50ft) high at the entrance. The cave is quite unique as the first par was created by the sea and the second chamber by fresh water. 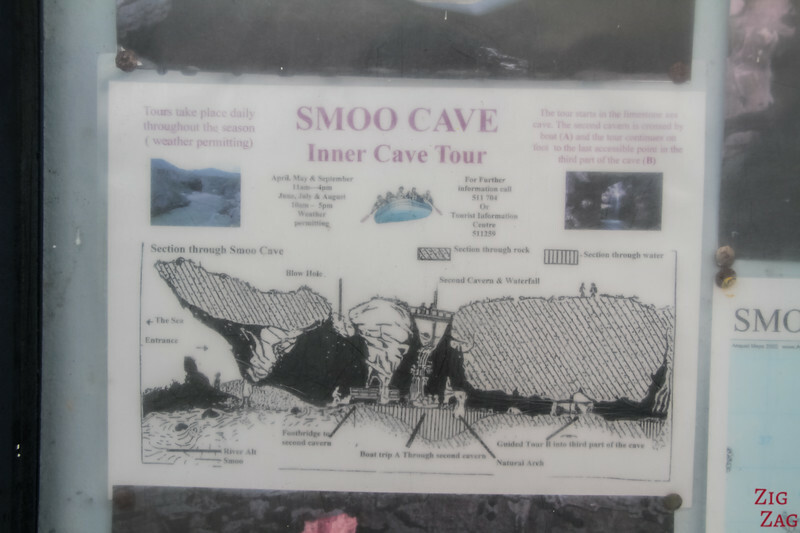 You can learn more on the Smoo cave website. 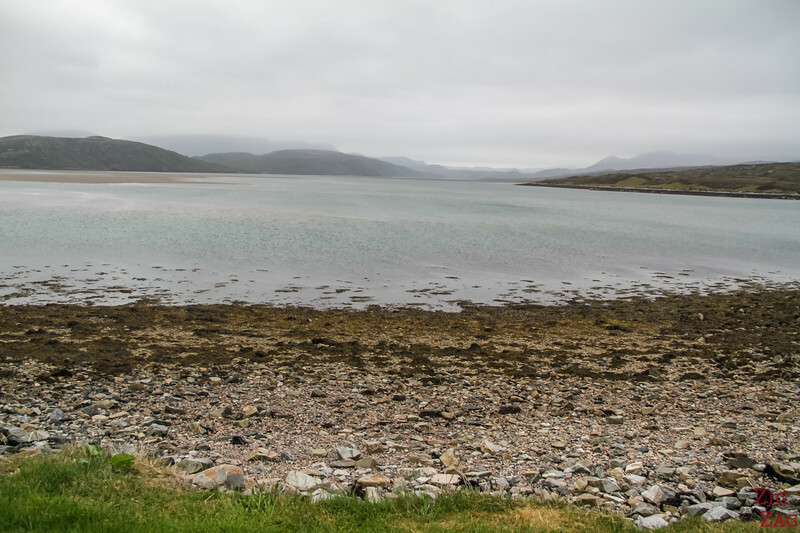 I had only limited time and the weather was poor so I just watched the inlet from the viewpoint. 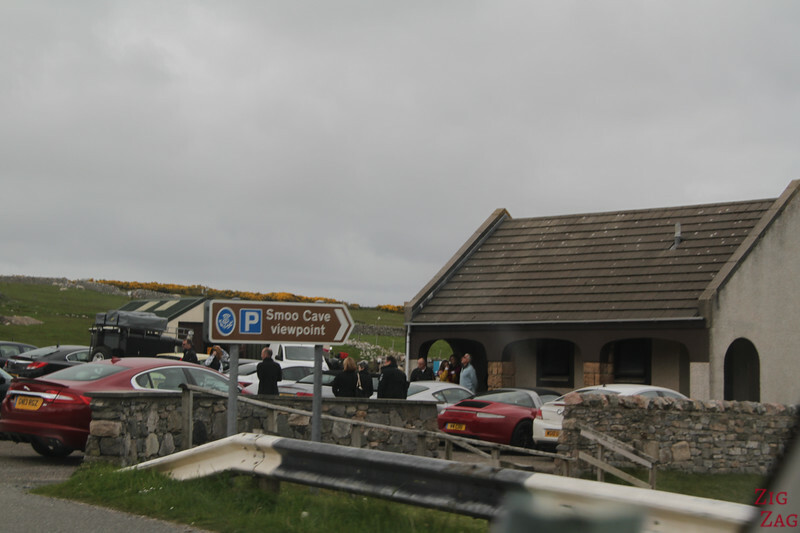 When the weather permit you see the inside of the cave. Many stairs to get to water level. As I did not visit, here is a picture on Flickr to help you decide if you want to visit. 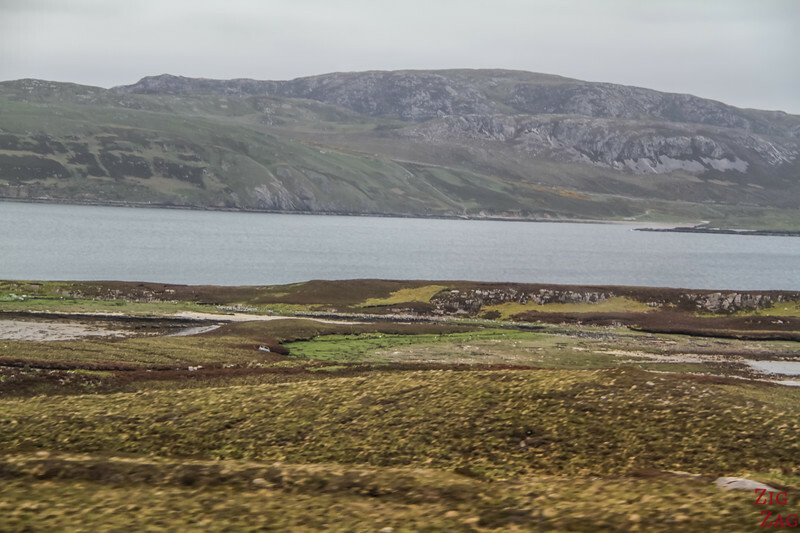 East of Smoo Cave, the road takes you around Loch Eriboll a 16km long sea loch (almost 10miles). 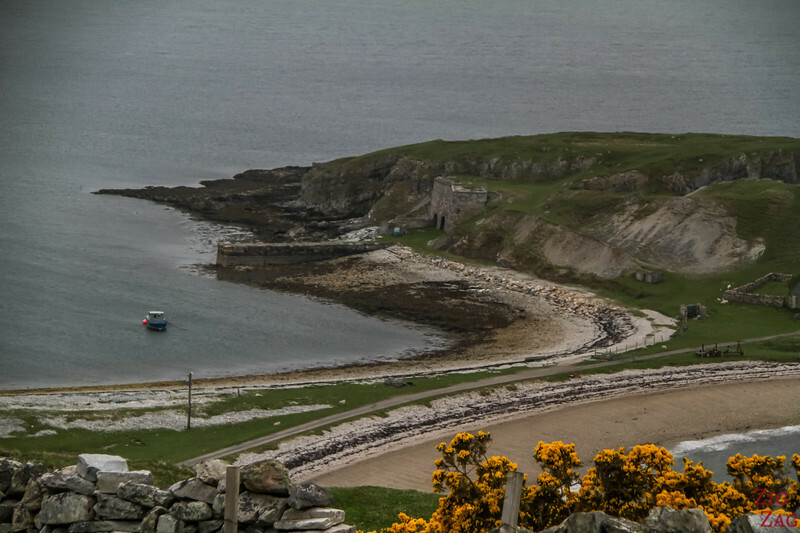 It has been used for century as a deep water anchorage to stay safe during storms. 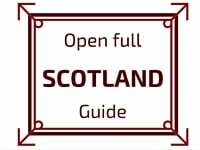 Here as well you can find evidence of Bronze age settlements. 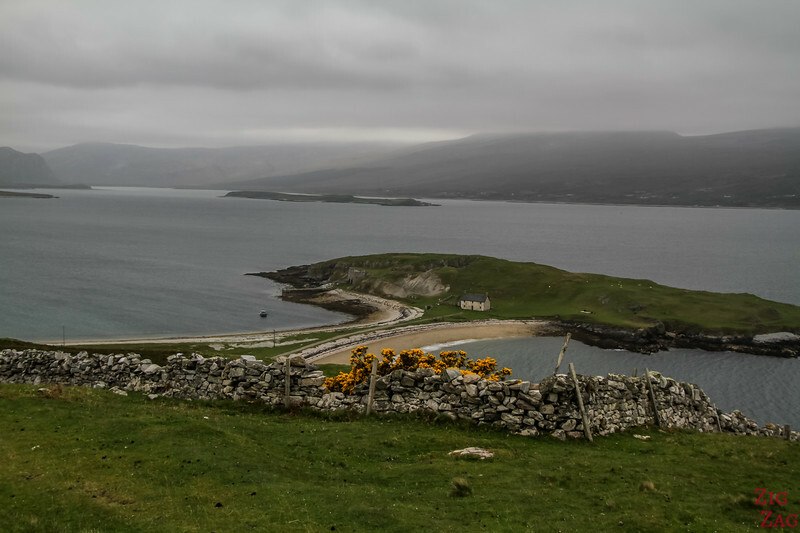 As you get to the east side of Loch Eriboll, you can visit a headland in the loch. The building you can see in the pictures below (not the house) but the walls agains the small cliff, are the remains if 19th century kilns where limestone was heated to produce lime. 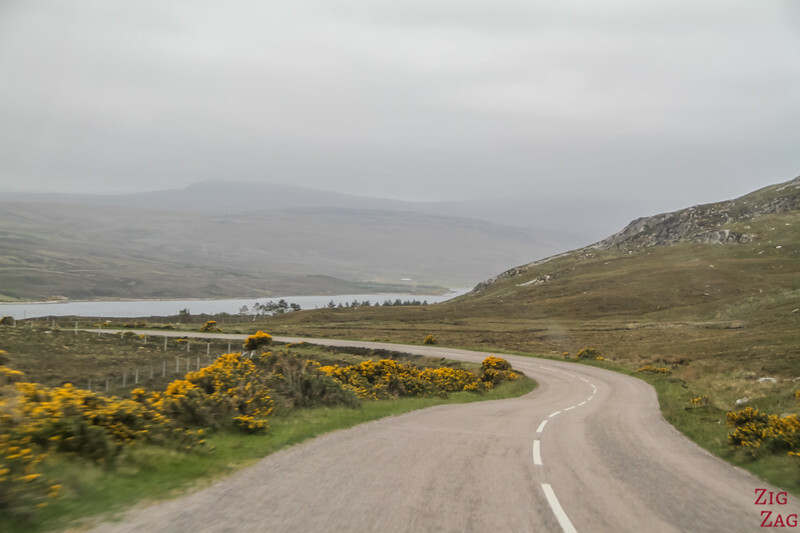 Next you discover the head of Loch hope towards the mainland. 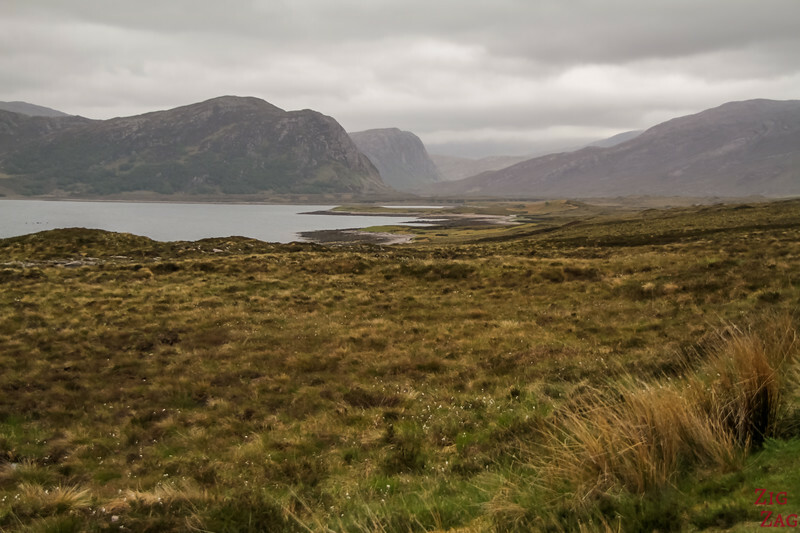 It is a long stunning loch and a great spot for fishing. 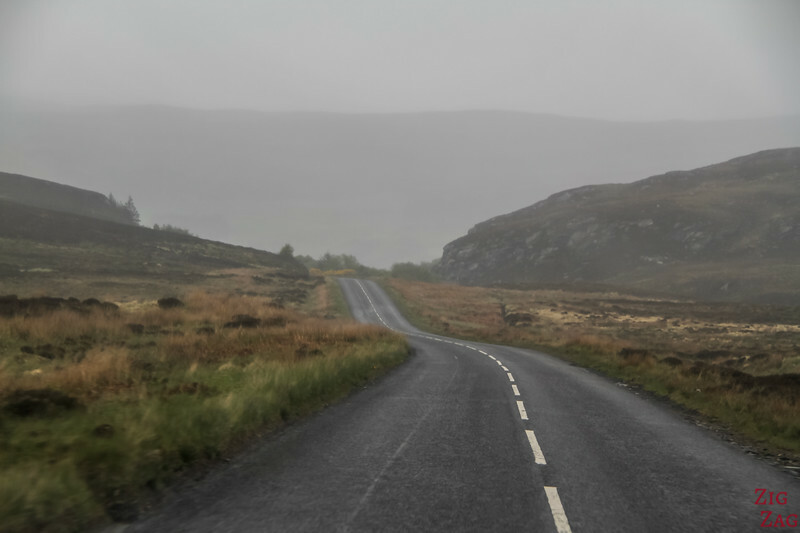 Sadly when I drove by Loch Hope, the weather was really bad and I could not see the stunning scenery with Ben Hope. 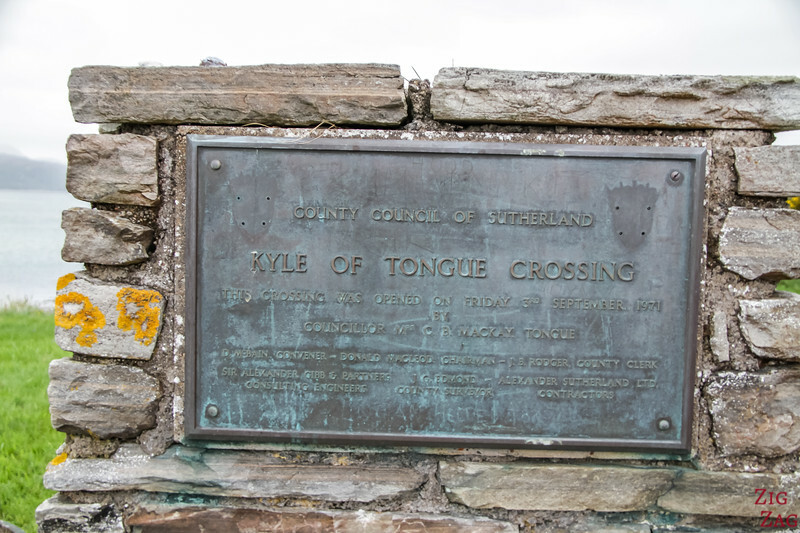 Your next highlight is the Kyle of Tongue, another inlet on the Scottish North coast. 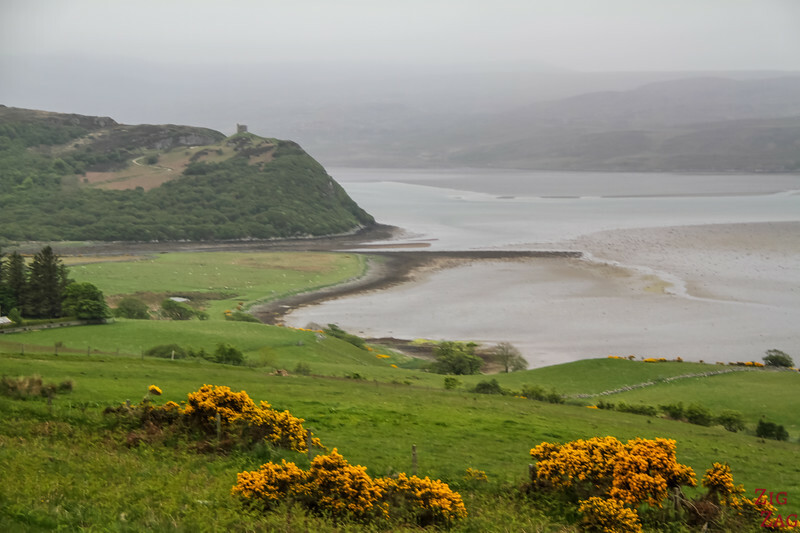 Since 1971 a long bridge allow you to cross the large and shallow sea loch. Most of it is sandy. It is 11km long (7mi). It is famous for its fauna and flora. 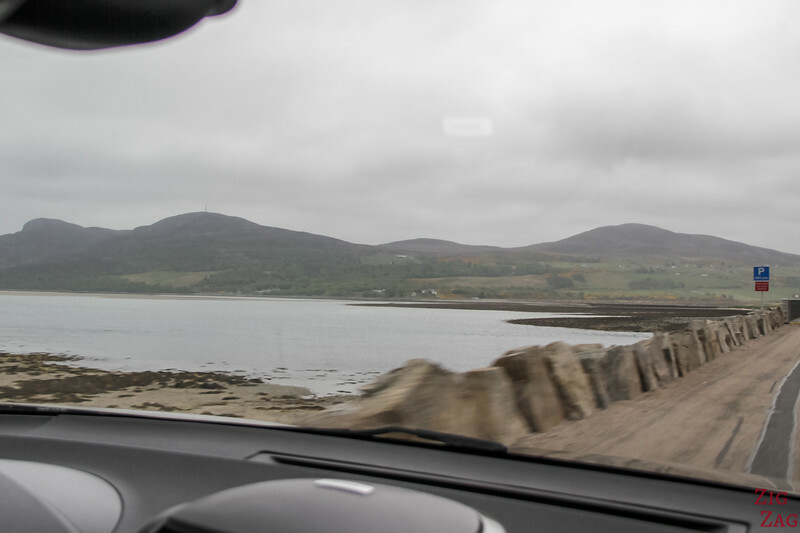 I cannot tell you if the rest of the drive all the way to Thurso is beautiful of not. 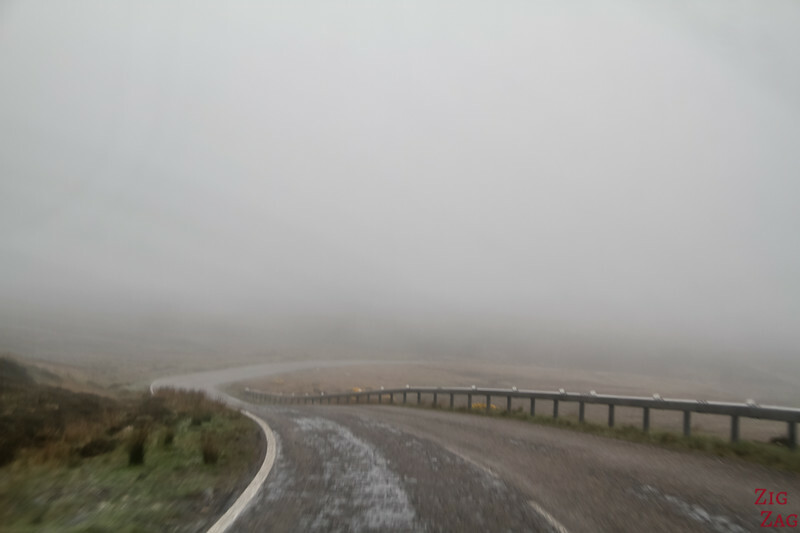 As you can see in the pictures below, visibility was very limited and was getting worse as wew were driving East. We were glad to arrive in Thurso and rest before our ferry ride to Orkney.